Our Mission is to define excellence within the health care community. We treat residents, their families and each other with respect, dignity and compassion. We strive to lead the industry by delivering superior clinical outcomes and exceptional care in exceptional settings. 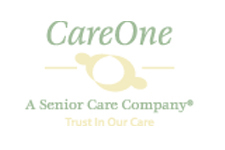 CareOne accomplishes its Mission through ethically responsible practices that support the delivery of superior clinical care and service to our customers.